On February 25, 2016, the nonprofit Alliance for Community Development hosted the annual Capital Connections pitch competition. This event aims to garner support for local minority entrepreneurs in technology while inspiring underrepresented youth from Oakland and the bay area to get excited about science. With around 300 people in the audience, Bikanta’s nanodiamond technology was pitched to a group of venture capitalists and won first place. Facebook presented Bikanta with a $10,000 award for the accomplishment and to apply towards future aspirations. 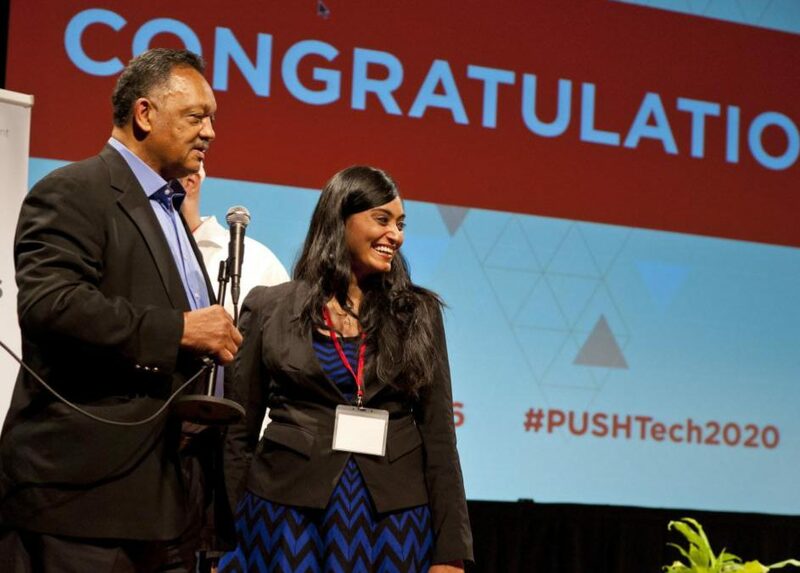 Reverend Jesse Jackson spoke about the need for more diversity in the tech industry. Bikanta fits this progressive vision perfectly. Coincidentally the Reverand is from Ambika’s hometown in Greenville, SC and he even called her parents and left them a congratulatory voicemail while on stage! The other contestants also represented an impressive array of minority achievement.